Doctor Who: Ten Best Moments From THE WITCH'S FAMILIAR | Warped Factor - Words in the Key of Geek. Nick Brent counts down the ten best moments from The Witch's Familiar. 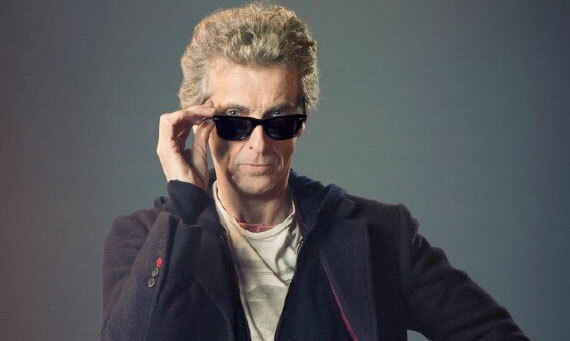 Another week, another episode of Doctor Who… this one had a lot to live up to! I’ll admit, I’ve been having trouble finding ten separate ‘best bits’ because The Witch's Familiar was amazing! I’ve watched it four times now and I’m still not entirely certain this is my final list, but bear with me! The Hostile Action Displacement System, or does the D now stand for Dispersal? Perhaps it’s a completely different system… the TARDIS didn’t exactly relocate, it well, dispersed itself, but I digress. This one kind of ties into number 10, but I thought it was a brilliant scene and great to see the HADS being used again. It is interesting to note that this opening two part story is the first not to feature the 12th Doctor inside the TARDIS. This scene was both hilarious and pretty gruesome at the same time, actually! The Doctor in Davros’ chair was very unexpected, and Davros’ being out of it even more so. There’s not actually a lot to say about this one when I think about it apart from that it was cool to see the rest of Davros, or rather, what’s not there! I loved the use of Colony Sarff too, and really want to see him turn up in the future. Though I do have one question; where did the Doctor get that cup of tea? This was a rather fun, if convoluted sequence which gave us an explanation to one of the cliffhangers from ‘The Magician’s Apprentice’ which saw Missy and Clara apparently being exterminated, and not only that, it also explained how Missy survived being shot by Cyberbrig at the end of last series. This was accompanied by an brilliantly upbeat score by Murray Gold and got the episode off to a great start after the cliffhangers of last week. Despite missing them when I first watched, I loved the 4th and 1st Doctor cameos and thought they were a neat touch. Can we have an episode with the Vampire Monkeys, Steven? Please? I loved Missy in this episode, from her wood whittling, to pushing Clara down a 20ft hole, this was one of my favourite Missy moments (there is another but we’ll get to that). This was another one of those gruesome yet funny scenes - we have Michelle Gomez being amazing as she kills a Dalek whilst mocking it in an American accent, and then we get a load of decaying Dalek mutants rising from the sewer walls to finish the job. It was a superb scene, and the idea that the Daleks are unable to die was a brilliant concept from Moffat and nicely set up the way the Doctor would eventually be able to escape. The feels are strong with this one! I’m not even a huge fan of Clara, but I love this particular scene. It really shows the sense of love between the Doctor and Clara; we could see this as the Doctor reacted after she was ‘exterminated’ but his anger towards the Daleks here really shows how much he cares about her and actually made me feel for the character. This scene had a very powerful variation of ‘A Good Man’ playing over it which was simply sublime. After this scene, I greatly anticipate the Doctor’s reaction whenever Clara leaves for real. This was the resolution to perhaps the biggest cliffhanger of ‘The Magician’s Apprentice’. The Doctor yelling ‘exterminate’ actually being directed towards the Hand Mines was very predictable but it was a nice scene and again played on the Doctor’s compassion… I’m just wondering if this will have repercussions at the end of the series…? That is the last time I want to see regeneration energy anywhere near Peter Capaldi! Okay, now at first I found it a bit silly that the Doctor fell for Davros’ plan but we do later find out the Doctor knew what he was doing and let him do it, so I can forgive it, slightly. I’m finding it hard to talk about this one as it ties into another on my list, but I really enjoyed this scene and actually liked how Missy came to the Doctor’s rescue! Of course, no one else gets to mess with the Doctor but her! So many feels! This scene was another powerful one and again showed the love between Clara and the Doctor - the Doctor’s loyalty and friendship towards Clara is further expressed when he tells Missy to run after he discovers she lied to and tried to make the Doctor kill the ‘Dalek’ knowing full well it was Clara inside. I actually thought for a moment, what if the Doctor did kill the ‘Dalek’? Imagine if that happened! I think this is Missy once again trying to prove to the Doctor that they are alike as she tries to coax him into exterminating the ‘Dalek’. Michelle proves herself once again as the Master when she very nearly brings the Doctor to killing his best friend and shows just how unpredictable Missy can be. This is possibly my favourite Missy moment of the episode. Once again, the number one spot goes to Davros. Every scene between the Doctor and Davros was near perfect: the dialogue, the acting, everything. It was all sublime. From parallels drawn between the two using dialogue from Series 8: “Am I a good man?”, to Davros’ dying wish to see the sun rise and his admiration for the Doctor, everything scene with the two together was magnificent. I actually began to feel sorry for Davros it’s just a shame it was all a charade and part of Davros’ grand plan to expose and manipulate the Doctor’s compassion. Like many others, I thought it would have been the perfect ending for the character, however I doubt anyone wants to see him gone any time soon. I’m only including this because it was incredibly funny… that’s all I have to say about that one. Again, another hilarious one… Missy mentioned it in ‘The Magician’s Apprentice’, but I never actually expected her to do it! This episode really held up after ‘The Magician’s Apprentice’, which is something a lot of two parters struggle to do. I hope the rest of the series nine continues to be so good; this story set the bar very high! Bravo Moffat! Join me next week when I’ll be giving my top ten on ‘Under the Lake’, but before that, why not share your thoughts on ‘The Witch’s Familiar’.